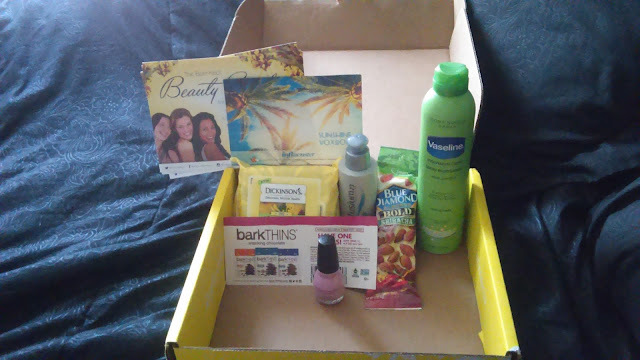 Here is yet another box full of goodies from Influenster called the Sunshine VoxBox. Oh yummy. I love almonds. Blue Diamond always has some of the best flavors. 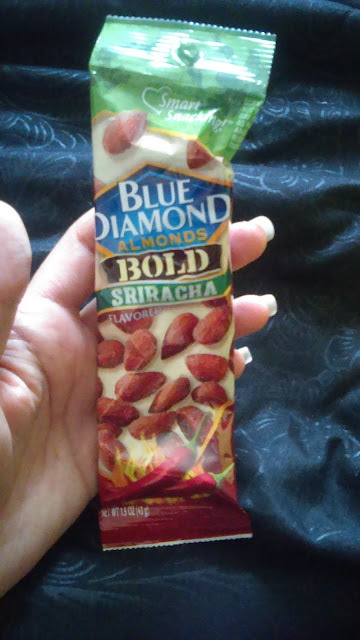 These are Sriracha flavor! I am a Sriracha addict so I think I ripped this bag open a little too quickly when I got them. Did I share? I swear that I would have if my husband had gotten home sooner. You see, I ate a couple, and then a few more, and a couple more, and then there was only one left. What was I going to do? Give him one almond? Ha. I ate that one too. I don't paint my fingernails too often but I do love the way my toenails look after they have a fresh coat of some pretty nail polish. I have always bought Sinful Colors nail polish. And the reason for that is simply because no matter what color I have bought, they are always deep and bold. Yes, that goes for both lights and darks. 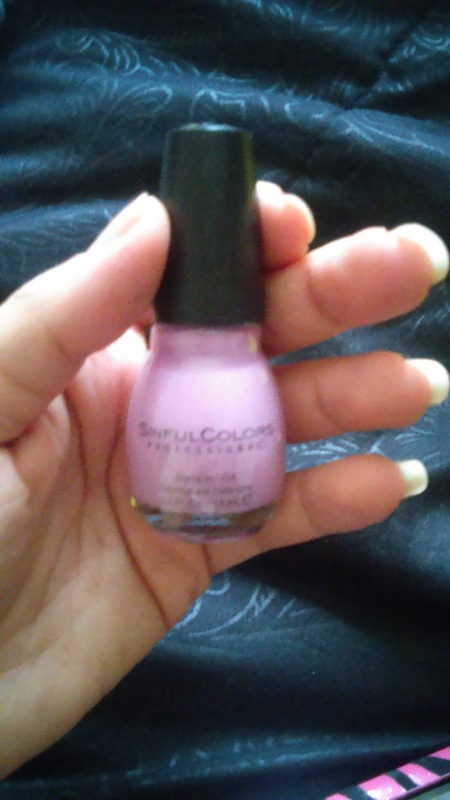 This one is a pinkish purple color and yes it's perfect for dressing my toes up for the summer. legs to look perfect and feel silky smooth. I have tried numerous types of lotions and there are some good ones, but get this---THIS bottle is one that you can SPRAY on. I know what you're thinking. NICE. And yes, yes it is. 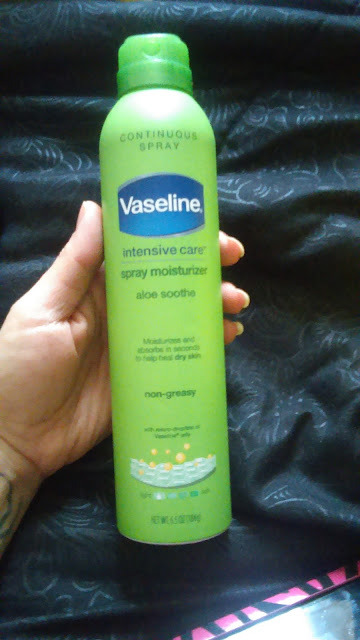 I spray it on my legs and rub it in a little. Then, voila! Perfectly soft, silky legs. They stay that way all day. Not greasy either. I simply cannot figure out why this photo came out so blurry. Perhaps I was so excited about getting this dark chocolate and couldn't stop moving? Any how. 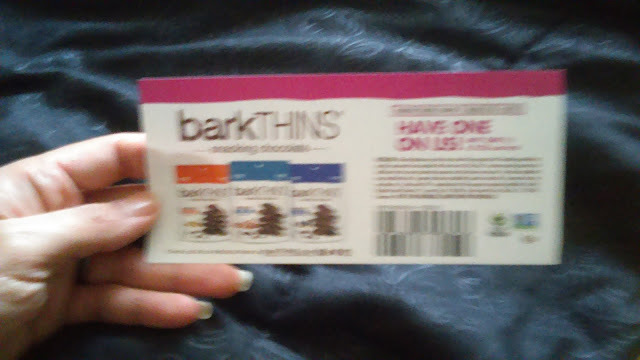 I wish I could have just taken a picture of the product after redeeming this coupon for some BarkTHINS, but believe it or not- I lost the coupon. So sad because I have been wanting to try these forever. I just might go buy a pack to try them out anyway. Then, I'll make sure to post an update. 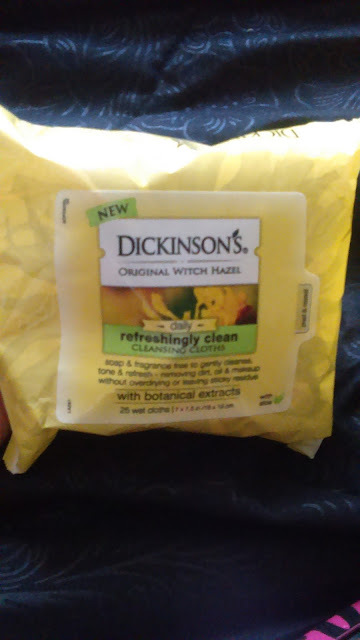 These are facial wipes that have Witch Hazel in them for a deeper clean. I have used Witch Hazel in the past, so I didn't mind trying these out. I used them a few times and they were okay. Not my favorite because they didn't remove ALL of my makeup and no, I wasn't all clowned up with a ton on. Even the little bit that I had on didn't get completely removed. You have to use more than one to get all your makeup off. My skin did feel a little fresher though. Does that make sense? It had a cool tingle to it. Yes, yes, yes. My curls wanted this. 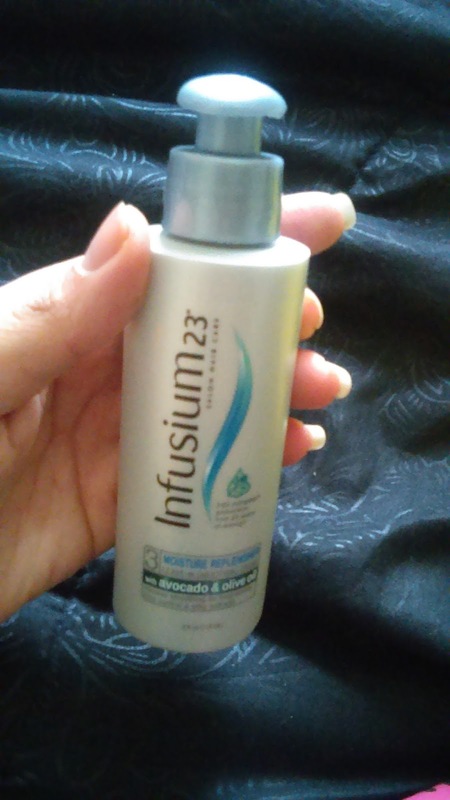 Infusium products rock. I mean it. They usually cost a little more than some of the other products that I buy so I don't buy them often. (Although I would like to). I was happy to try a sample bottle. I washed my hair, rinsed in cool water, squeezed some of this onto my palms and applied to my curls and wrapped in a microfiber towel. I like to do this with products because my hair seems to absorb them better. I'm not saying you have to, but you could if you wanted to. My curls look PRETTY and defined. There is avocado and olive oil in this bottle and apparently my hair looks great when those two are combined. I'm seriously going to have to buy another bottle of this ASAP.